Wow. What an incredible piece of animation, and an incredible story too. As an infant, Kubo (Art Parkinson) had one of his eyes plucked out by his grandfather, the Moon King (Ralph Fiennes). His mother takes the boy and flees with him from her father and her two evil twin sisters (Rooney Mara) who seek the boy’s other eye. Not really knowing his past, Kubo grows up in a cave near a seaside Japanese village. Taking care of his ailing mother by night, by day he visits the town earning money as a street musician telling stories with origami figures. He tells the same story everyday, but never gets to finish the tale of the brave samurai warrior who battles the Moon King because he has to return home when the evening bell sounds so his witch aunts and grandfather don’t find Kubo and his mother. One night however, as Kubo had made a lantern for his father at a festival celebrating the deceased he misses the bell, stays out after dark, and is chased by the daughters of the Moon King. Summoning up the last of her own magic, Kubo’s mother appears and saves him, sacrificing her own life in the process but also imbuing one of Kubo’s toys, a small wooden monkey charm with life to help protect him. Monkey (Charlize Theron) tells Kubo about three pieces of mystical armour that, if found, would allow Kubo to defeat the Moon King. Along the way, Kubo and Monkey encounter Beetle (Matthew McConaughey), a forgetful former samurai who thinks he served Kubo’s father and was turned into the beetle by the Moon King for doing so. 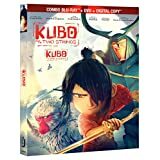 Kubo’s own magic grows, as his origami comes to life and saves him several times by creating boats, wings and even creating a miniature samurai who Kubo believes has a link to his father. Setting aside the story, LAIKA really outdid themselves this time. The animation was absolutely gorgeous and the scale of the film was incredible. The animation at times was so perfect that it could have passed for CGI. Now, don’t forget that there is extensive use of CGI in these films, but the sets are all built, the characters are all “puppets” and physical creations. The clothing is all sewn, the backgrounds are all hand painted. The computer work comes in for the lighting and some of the other environmental effects; you can’t stop motion in a snowstorm or rain. The artwork at the finale was just mind blowing when you consider that it was all physical figures, subtly moved one frame at a time. On top of the animation, and given the title, music had to be used effectively throughout. As Kubo summoned his origami creations with his magical shamisen, the sound really became powerful. Also, I really enjoyed Regina Spektor’s rendition of The Beatles’ While My Guitar Gently Weeps that played over the closing credits. I really fell in love with the scope and spectacle of Kubo, which made this one of my favourite movies of the past year. Bottom Line: Kubo has definitely got my vote for Best Animated Picture at this year’s Oscars. Disney wins waaaay too often in this category, though I suspect if Kubo doesn’t win Best Animated Feature, it will grab Best Visual Effects, but that’s the award I want Doctor Strange to win! 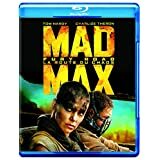 The fourth installment of the Mad Max films sees Tom Hardy replacing Mel Gibson as Max Rockatansky, and introduces numerous new characters to the post apocalyptic world first seen in 1979. Most of these characters are throwaways, mutants and killers and savages, disposable bad guys who are interchangeable with those of any of the previous Mad Max films, and probably 90% of the other “post apocalyptic” films that are out there. How different is Fury Road‘s Immortan Joe from Road Warrior‘s Lord Humungus really? The film actually focuses more on Imperator Furiosa (Charlize Theron), a leader in Immortan Joe’s army who helps four of the Immortan’s beautiful breeding wives escape with the promise of taking them to “the green” where they can live in peace away from the brutal master. Along the way she runs into Mad Max, who reluctantly agrees to help them in their plan. Of course after their escape they have to survive the hardships of the Australian Outback (post apocalyptic style) and avoid the various gangs who chase them, including Immortan Joe’s own “armada”. You would think in a Mad Max film that Max himself would be the big hero, and have all the plans and action, but really this one was more about Furiosa. I love seeing strong characters, and I love seeing strong female characters, but I don’t know if this was the right film for this one only because of the title: Mad Max: Fury Road. Yes, Max does have a fair bit of screen time, with a lot of fighting, a lot of shooting, a lot of driving, but very little dialogue. Most of the exposition of the story comes from Furiosa, and Max himself at times really just feels like a hitchhiker to the story. It was a bit odd to see the titular character really not be the main character of the film. Maybe if Max had a more prominent role Furiosa could have spun off into her own film after being introduced here? Very good effects, excellent stunt work, great costumes and “world building”; Fury Road looked better than all the previous Mad Max films, but still looked like a Mad Max film. The action was pretty much constant as the first half of the film was a giant chase, and the second half of the film was a giant race. Hopefully that will satisfy you as a viewer, because there wasn’t really much story to follow or ponder. Bottom Line: Entertaining, but not “Best Picture” entertaining. The overly simple story will probably prevent Fury Road from winning anything but technical Oscars this year but that could propel Miller to a Best Director award. **** Okay, it didn’t. I typed this before the Oscars but clearly I didn’t finish the review until well afterwards.